•Alliance: Works for a Vigilante group. •Family: his parents(they're divorced) and his little sister. He lives with his dad while his sister lives with their mom. •Friends: Scarlet, Terry, Jake and Stark. •Personality: takes after his father in being strict, serious and quick to anger. Takes after his mom in being passionate and caring. 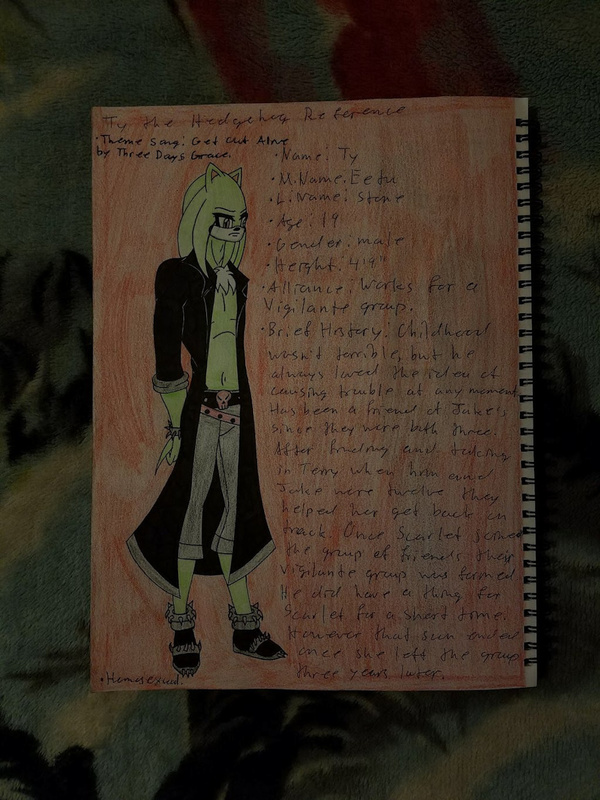 •Likes: fighting, target practice, carving wood into random things, knives, some movies/shows and most music. •Hates: being in denial about things, his parents divorce, romance movies/shows, country music, pop music and rap. •Theme Song: Get Out Alive by Three Days Grace. •Brief History: Childhood wasn't terrible, but he always loved the idea of causing trouble at any moment. Has been a friend of Jake's since they were both three. After finding and taking in Terry when him and Jake were twelve they helped her get back on track. Once Scarlet joined the group of friends their vigilante group was formed. He did have a thing for Scarlet for a short time. However that soon ended once she left the group three years later.